While acknowledging that Spanish renewable energy and engineering firm Abengoa’s restructuring plan would ease its debt burden, Moody’s has cast doubts over whether it will be successful. Earlier this month, Abengoa reached a debt restructuring deal with its main creditors in an attempt to avoid Spain’s biggest ever bankruptcy. It had been in talks with lenders since November 2015 to reduce its over 9 billion euros debt pile. “We believe that the proposed restructuring, if fully executed, is likely to result in a more sustainable capital structure. But we also believe the success of the viability plan remains uncertain,” Moody’s said on Wednesday. The ratings agency highlighted ongoing concerns over Abengoa’s liquidity situation even after the restructuring. If the company is unable to generate the level of cash flow predicted, carry out its planned asset disposal programme or curb an increase in costs, its liquidity will deteriorate, Moody’s said. It also said that some of the conditions attached to the debt restructuring, such as the need for approval from the company’s suppliers, could result in delays in the execution of the plan. Abengoa has said it expects to return to positive free cash flow by end-2018. In the restructuring deal, Abengoa has offered creditors the opportunity to swap 70% of outstanding debt for equity, and refinance the remaining debt over six years, in return for 40% ownership of the restructured company. The company’s founding family would also hand over another 50% in the firm to new investors. Abengoa expects backing for its plan from 75% of all its creditors by September 30. It needs to secure that level of support under current Spanish legislation. 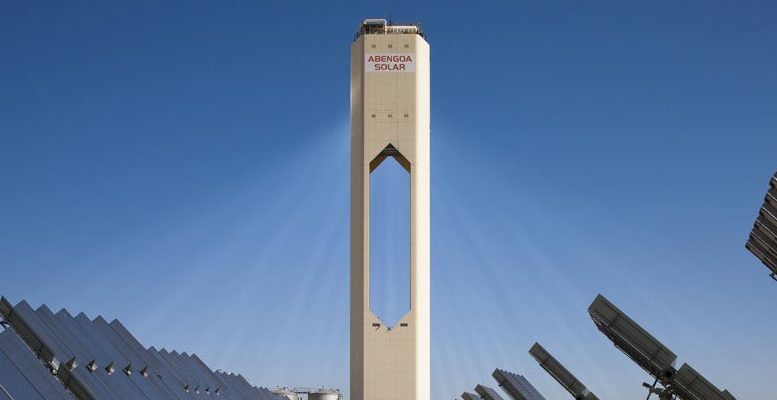 In March this year, Moody’s said that Abengoa’s situation provided “cautionary lessons” for investors after the company filed for pre-insolvency last November.